It's time for another exciting Blog Hop! The ladies from Stampin Addicts have been working hard to show you some fabulous ideas for all the fun stuff you can get for free during Sale-A-Bration! If you are following the hop in order you probably came from Cindy's blog where she did some totally inspiring work with A Flower for All Seasons. Don't you just love her stuff! 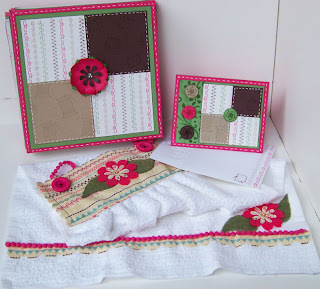 I will be featuring Itty Bitty Bits which is a really fun and versatile little set! It even has some matching punches and buttons! 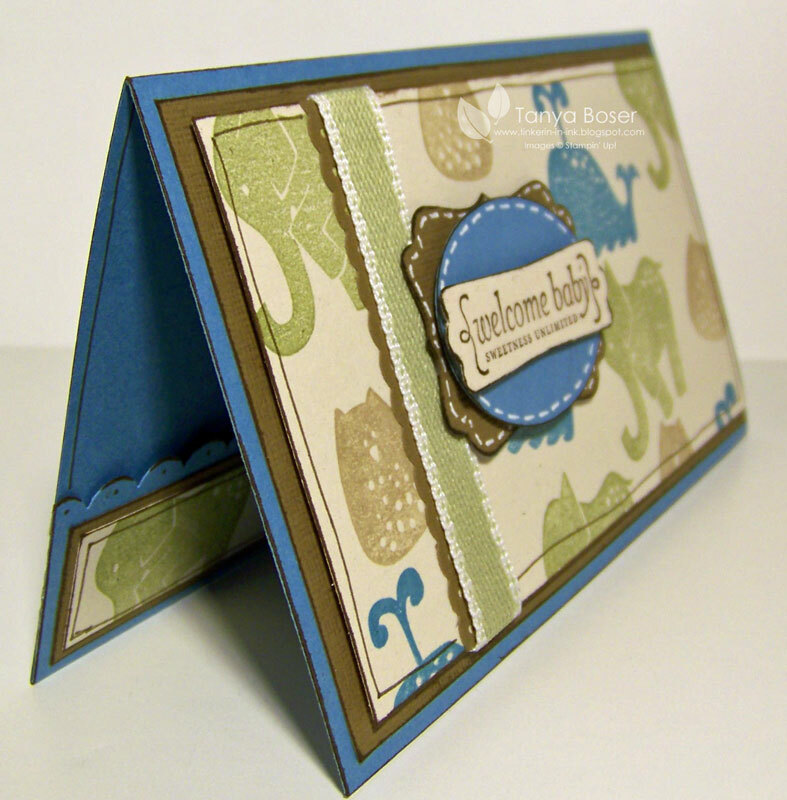 This card is made with a little one-sheet-0wonder action going on. I made an 8½"x11" piece of patterned paper using the Itty Bitty Bits stamps, then cut it apart for couple of projects. 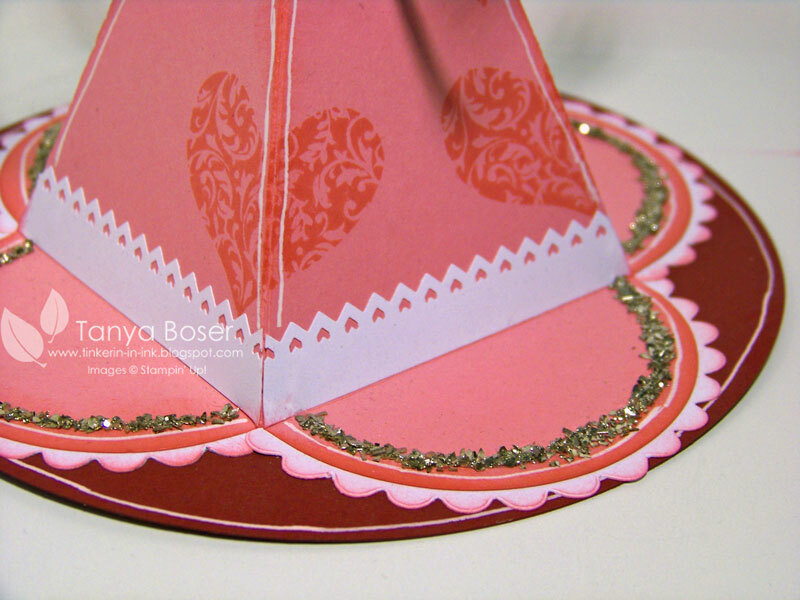 The scalloped half circle is actually from the Petal Cone die! 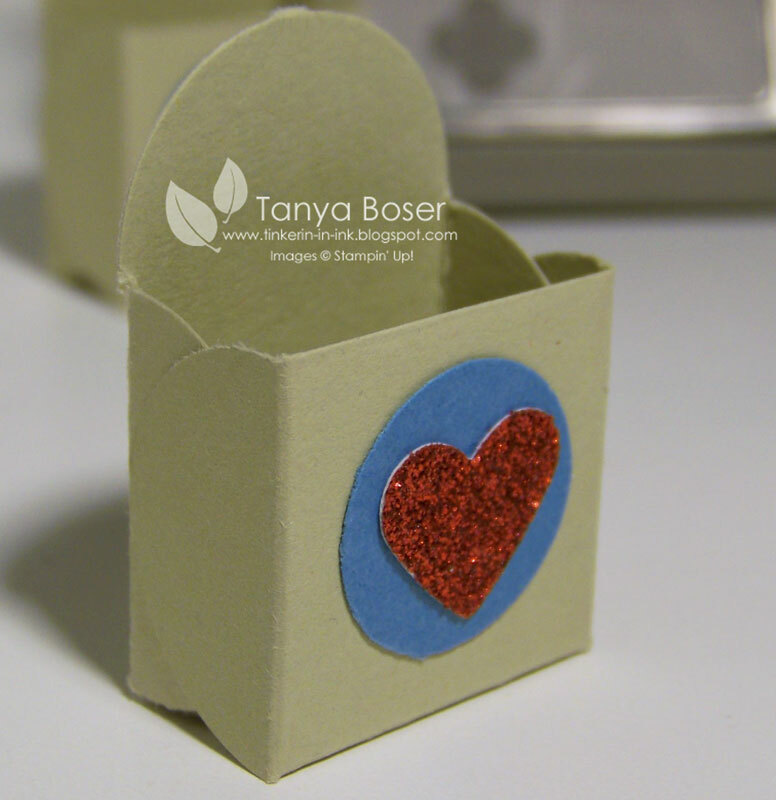 And I just had to make more of those little Nugget Boxes :) they really aren't that much work and are so darn cute you may find yourself looking for excuses to make them, lol! And did you know that six of these little boxes will fit in the Box #2 die box? How sweet is that?! Ok, this project is stretching it a little bit, but the First Edition DSP is stamped with polka dots from Filled with Love, and inked before the flower layers were cut out. The polka dots could easily be stamps from Itty Bitty Bits, and I really wanted to show you all this wreath! 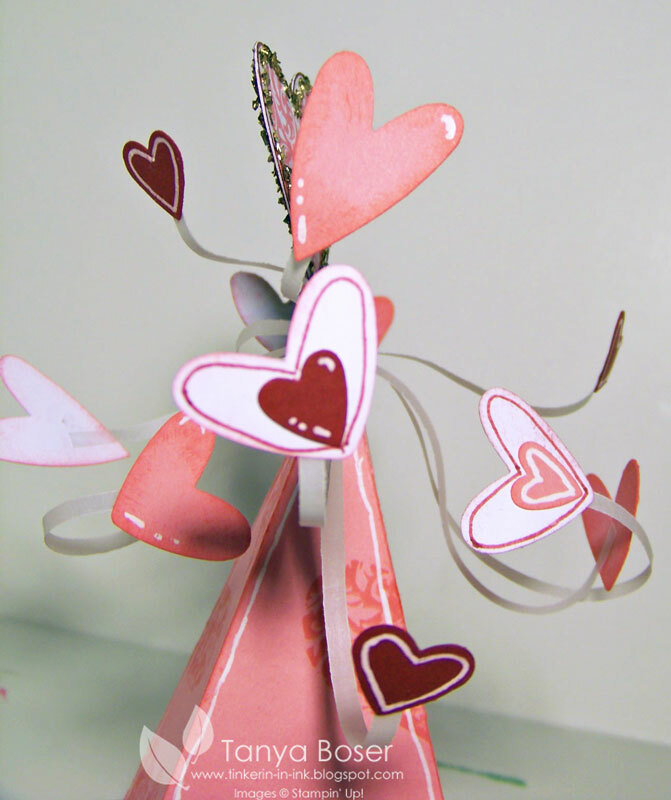 It is made with 36 paper flowers hot glued to a 9" willow wreath I got from the Dollar Tree. I adore this wreath! It is going to be hanging above my stove again shortly! Chery Cobbler is such a wonderful red, don't you think? So deep and rich and elegant. This is a sample I made for a wedding favor. The bride will be carrying deep red roses and the bridesmaids will be wearing black gowns. This just felt so right! 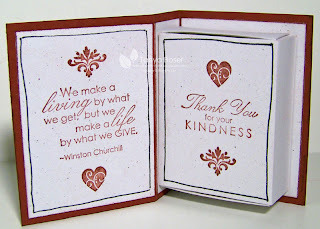 I embossed the Cherry Cobbler cardstock with the Manhattan Flowers embossing folder, then inked the raised parts with Cherry Cobbler ink. Then I assembled the box. 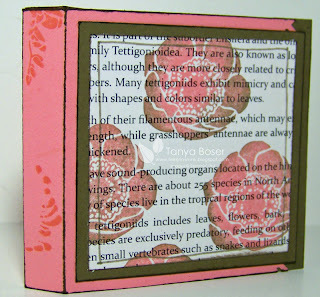 I thought about using the 5/8" Satin ribbon, but I wanted something more delicate. Seam Binding ribbon would have been a good choice also, however it doesn't come in white. So taffeta it is! 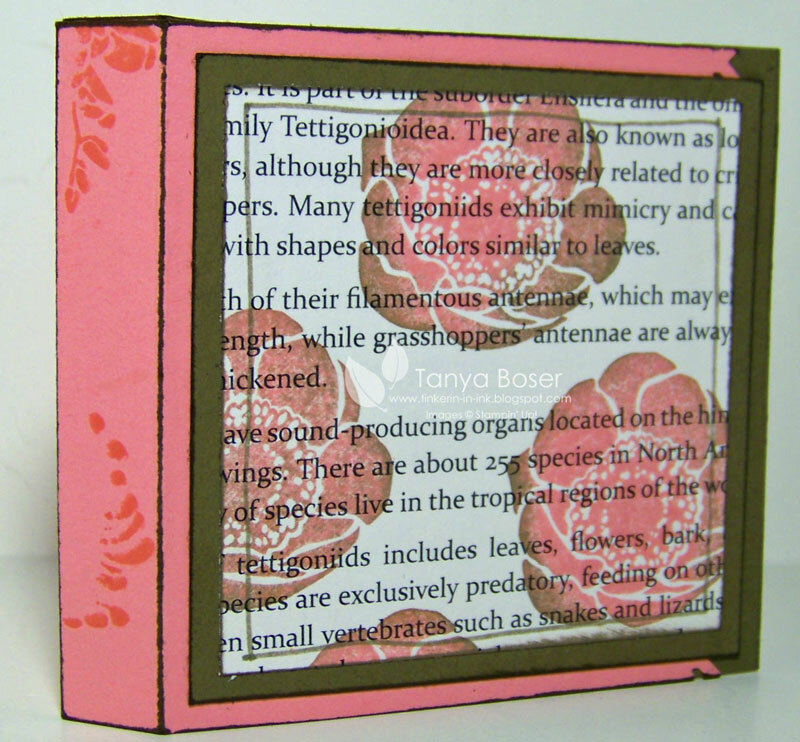 Instructions for making this box can be found here. And here is the inside. I kept it the same as the Lots of Love book box from the other day :) Now what will you fill yours with? 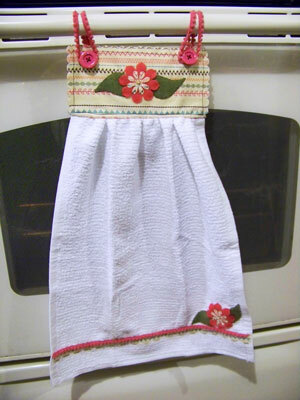 Here is the towel hanging on my stove. It is actually a pretty sturdy thing! And it washes well. 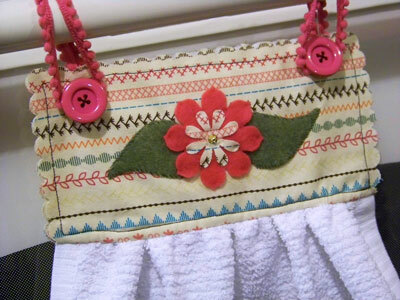 Everything but the towel, thread, felt, sequins, and beads is Stampin Up! 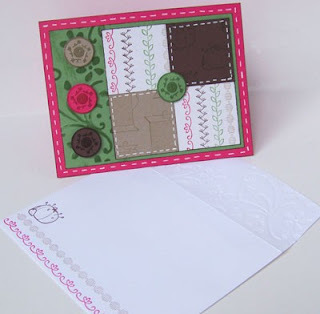 Here is the card and matching envelope that I made to go with the project. And the box up close. It is a pizza box style. If you are interested in the tutorial for this project, go to www.ustampwithdawnandfriends.com and check out the Year End Blowout 2010. 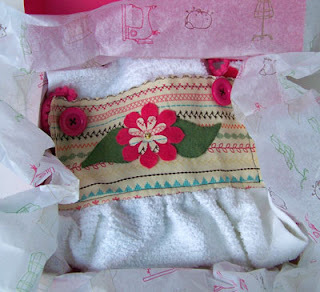 More baby stuff! This is for a boy obviously. And the animals are so darn cute!!! This one is a money holder, just like the last one. Lots of dimensionals popping up the sentiment. I also popped the top panel up too. Here is a front view, complete with my outlines and white stitches! Do you think I will ever stop making those? I try, but I can't stop! 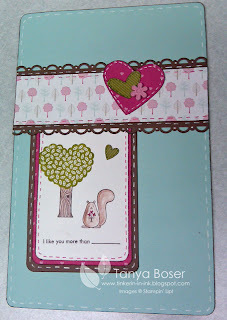 And I made another envelope for this card, but I am using up more of the DSP from SAB 2 years ago. It matches this card pretty darn well! I am in love with the way the new First Edition DSP takes ink. It is soooo yummy! These poppies look so good to me :) And this paper is the perfect weight for things like making envelopes and making 3D flowers and adding lightweight layers to things. And here is the inside! So cute :) There are all kinds of heart shaped chocolates that fit in this little box. We will also be making a little note to slip into a flap on the inside. I hope everyone can make it to club tonight, since it will be soooo darn cold :( But stamping will warm us up!! 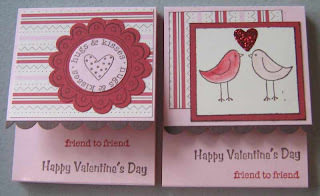 Valentine's Day is coming soon! 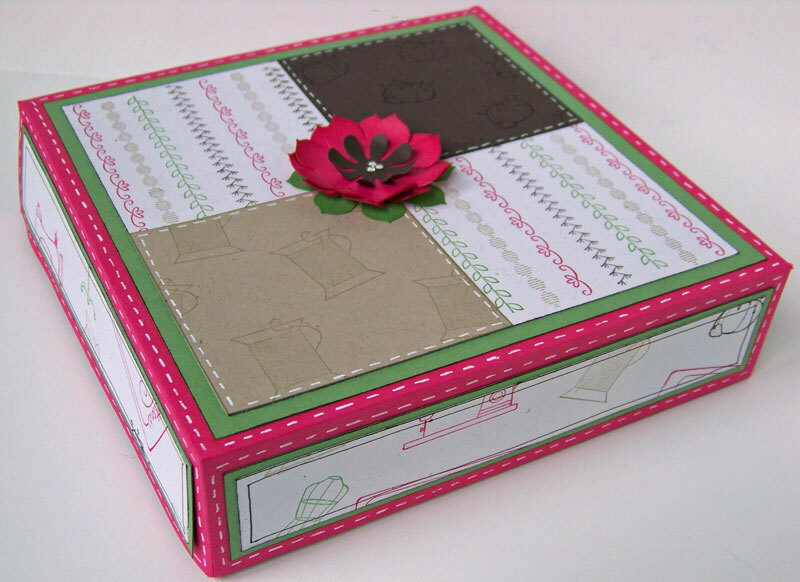 This is a fun little treat box. I made a similar book box inspired by Mike Funk back in August. You can check out the tutorial in that post. My dimensions are a little different than Mike's. 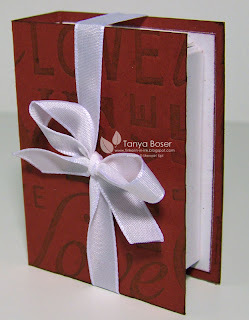 I used the Lots of Love letterpress plate on the book cover and I just love how it turned out! I inked it up with Cherry Cobbler ink before I ran it out through the Big Shot. Here is the inside. Aren't the phrases in this set fabulous?! And another view of the box. The ribbon is tied the long way to prevent the box from sliding open and spilling. Here is the box slid open too. 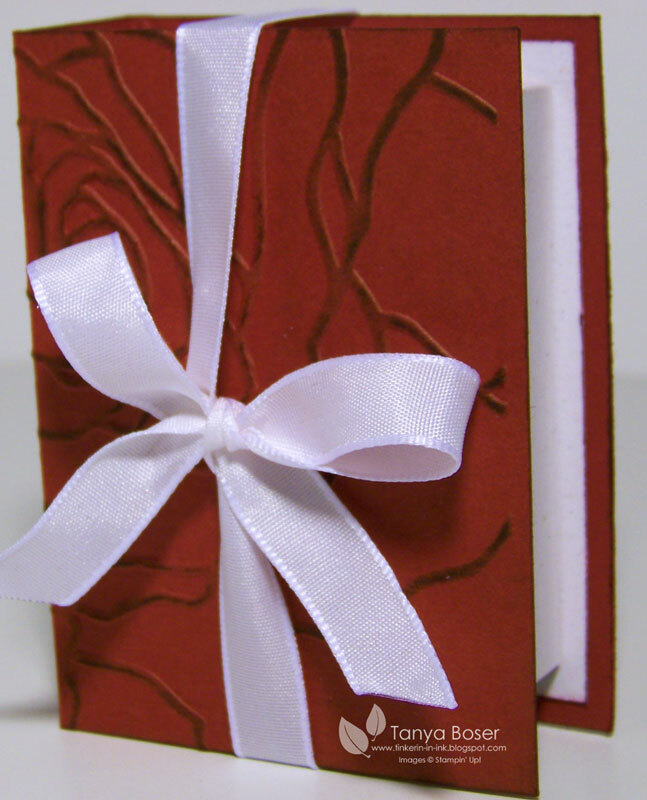 Isn't this the cutest little book? Make one and share it with us!! 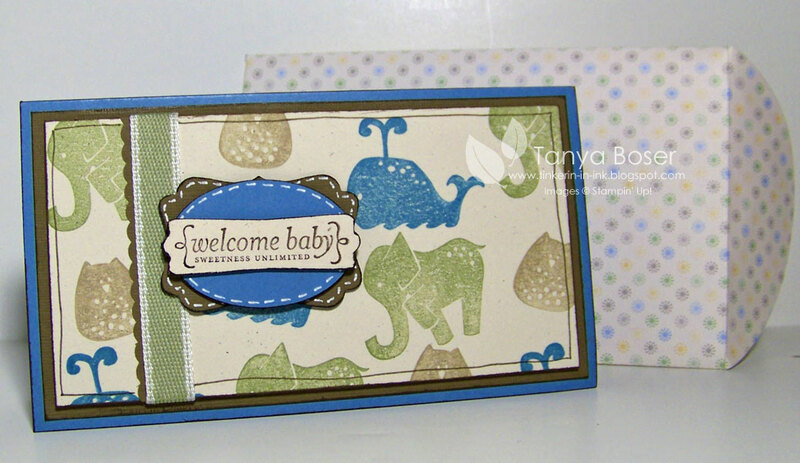 The top panel of the card front is stamped first, then embossed with the lattice/quilted side of the Perfect Details Texture plate. 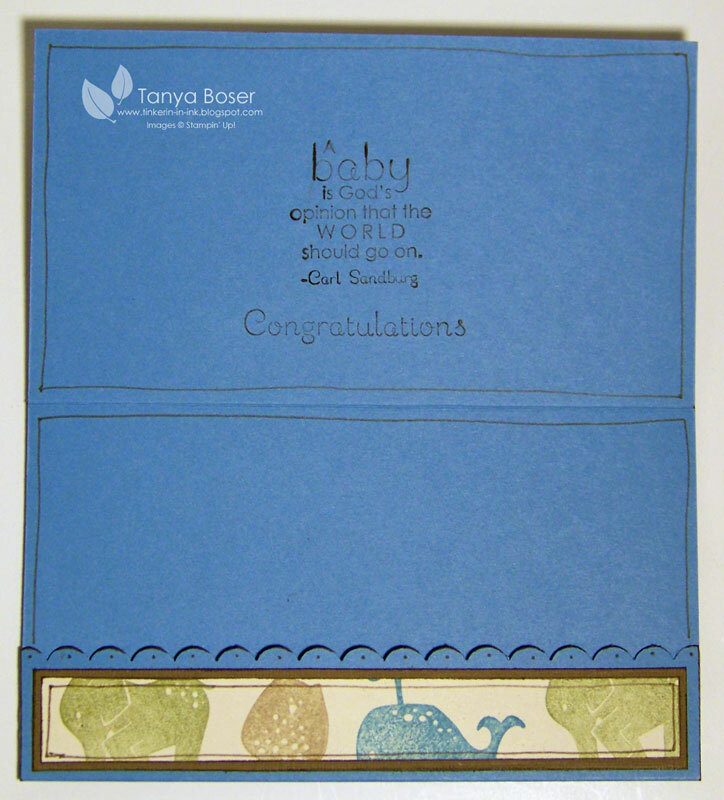 The Naturals White cardstock took the texture very well. 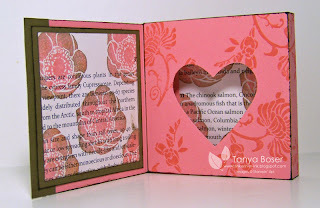 I was very "empressed" ;) And I love those little flower punches with the pearls in the center. 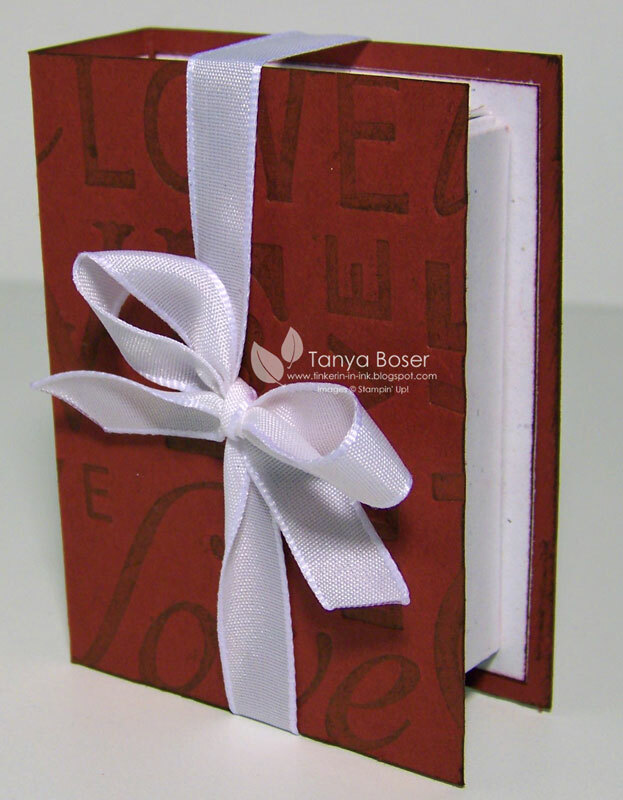 Inside has a folded up flap to hold money, a check, or a gift card. I actually used two different stamp sets on the inside. 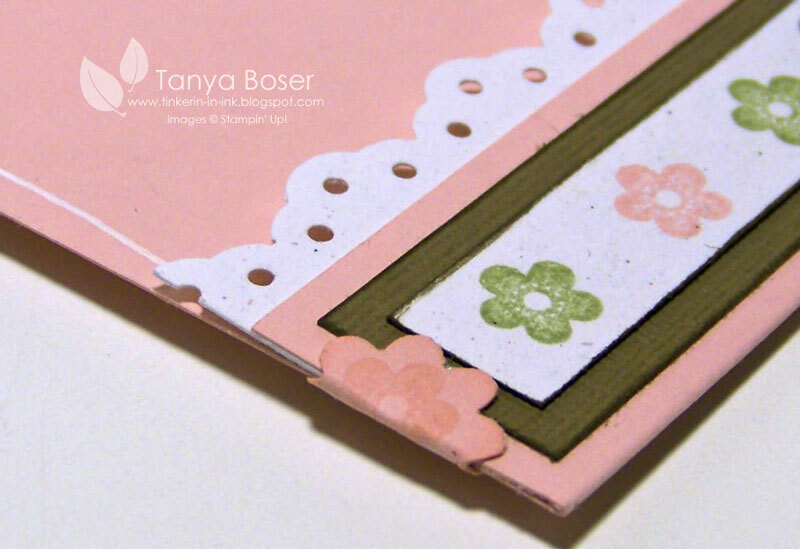 To hold the flap closed, I used a punched flower folded over the edges and adhered it with Sticky Strip. 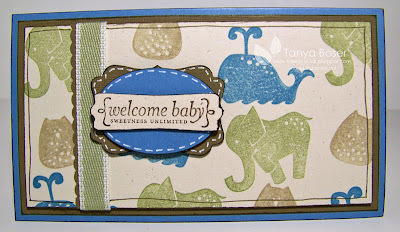 The sentiment is a single stamp, and I used the Movers and Shapers Modern Label die to mat the Modern Label punch. I am soooo glad I finally broke down and bought those! And I love the new First Edition DSP! 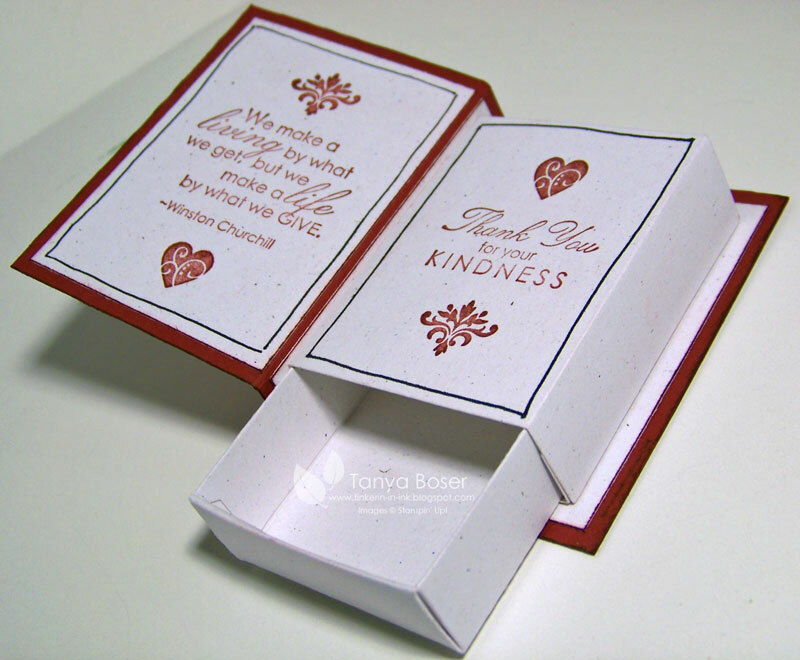 It is light weight and makes great envelopes. I used the retired envelope template to make this one. 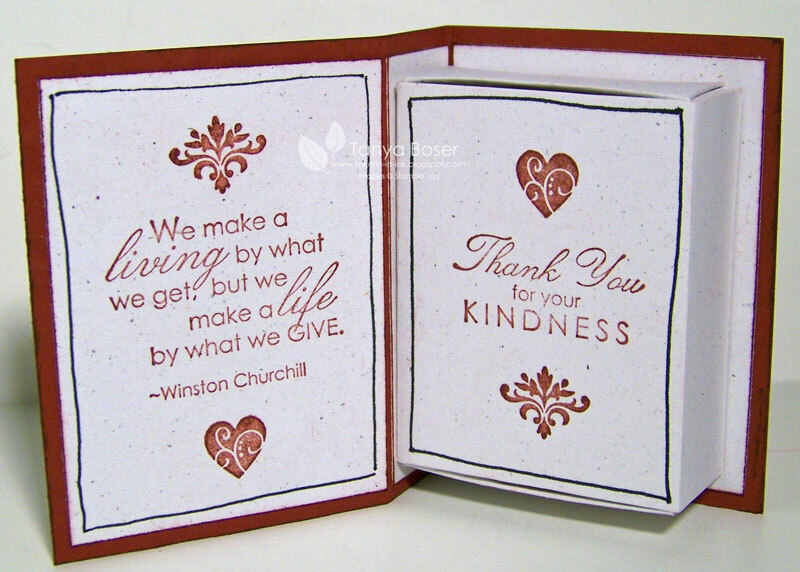 The card dimensions are 3¾"x6¼" with a 1" flap folded up inside. There will be more to come! Fountain, you say? 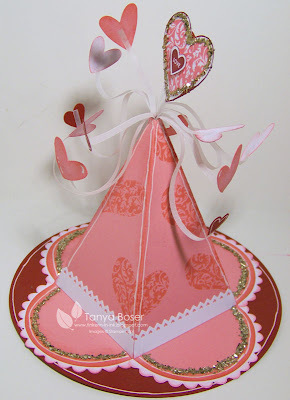 Why yes, a fountain of love for Valentine's day! As soon as I saw the Petal Cone die, this little centerpiece came to mind. I know, not very practical, but kind of fun, don't you think? What? Oh, you need to see more of it before you can decide huh? Ok, here you go. Here is the whole thing. I basically made the petal cone and trimmed the tip off. Then I cut a 5" circle and glued the petal cone to it. Then I cut ¼" strips of vellum cardstock to create the hearts erupting from the tip. The little hearts are all made with the Heart to Heart punch and the small Heart punch, jazzed up with sponging and white gel pen accents. After gluing the hearts to the vellum strips, I curled the vellum with a bone folder and adhered three strips per side inside the tip. 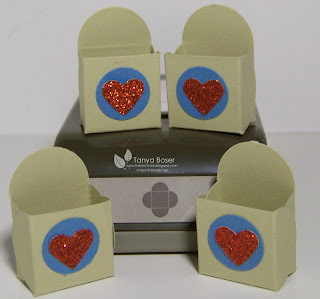 Here is a better look at some of the hearts. I know, I went a little overboard with the gel pen, but I think they are adorable! I took these pictures about a month after I made this, so as you can see, it has really kept its shape. 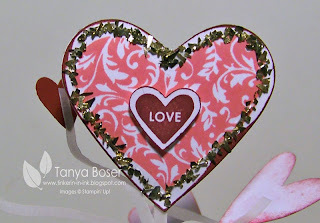 The centerpiece heart is two Full Heart punches glued to each other with a strip of vellum sandwiched between. And the "love" heart is punched out with the small Heart punch and popped up on a partial Dimensional. I used Crystal Effects to apply the Champagne Glass Glitter around the edges. I also used the glitter on the base. And it just wouldn't be complete without more Signo white gel pen! 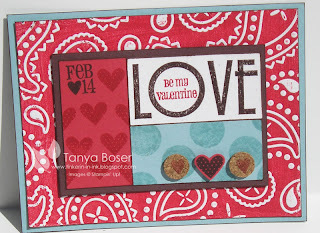 And don't forget, Blog Hop coming! 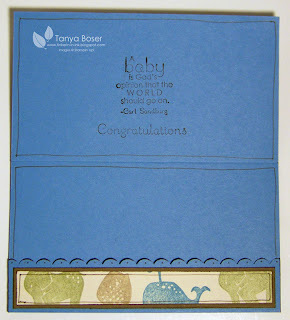 I have been crazy busy with my "other" job lately and haven't had much time to do any stamping. And then I was having some computer issues. For some reason my computer would not let me load any pictures in my blog posts! What good is a post without pictures, I ask you?! So I am using my husband's laptop and my external drive :) Where there is a will, there is a way! Then I realized that some of the things I have made in the last year or so really deserved to be revisited at this time of year :) I had a really hard time choosing my favorites, so I will divide them up a bit. 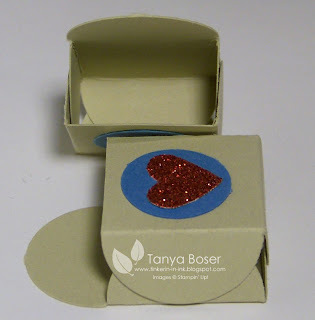 This is a fun little project that holds a mini Hersey's bar, or other small treats :) The tiny little heart would be even easier to do now that we have the FABULOUS Glimmer Paper which is pre-glittered and doesn't shed!! There is a tutorial here. I love the bandanna effect on this card. 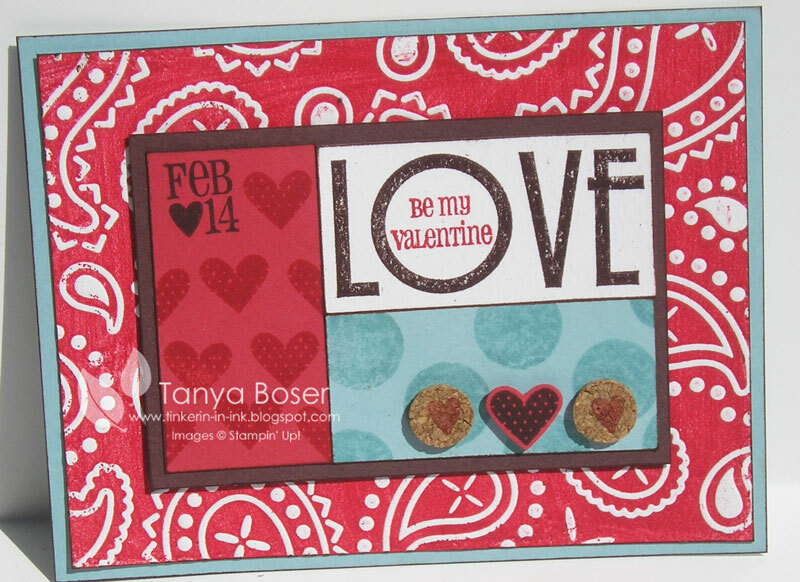 And is uses the wonderful Filled With Love stamp set (and there is a special going right now: December 17–January 24, get a FREE package of Bitty Buttons when you purchase a Filled with Love Bundle, including the Filled with Love Stamp Set and exclusive Love Patterns Designer Series Paper Pack—only available through this special promotion!) 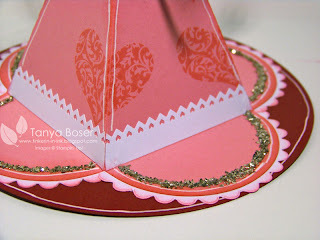 You can check out the details for this card here. I made this bouquet pick for Convention in 2009 and I still have a couple :) They are holding together amazingly well. 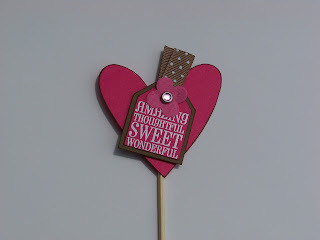 And what a fun addition to a bunch of flowers! Details for this project here. This one never actually made it onto my blog. How shocking is that!! I really love this stamp set. No, I didn't get rid of it when the mini ended last year. I just couldn't bear to. And now you can get it as a Digital Download! !